The Wellis Kilimanjaro Start is the entry level hot tub in the Kilimanjaro range from Wellis. 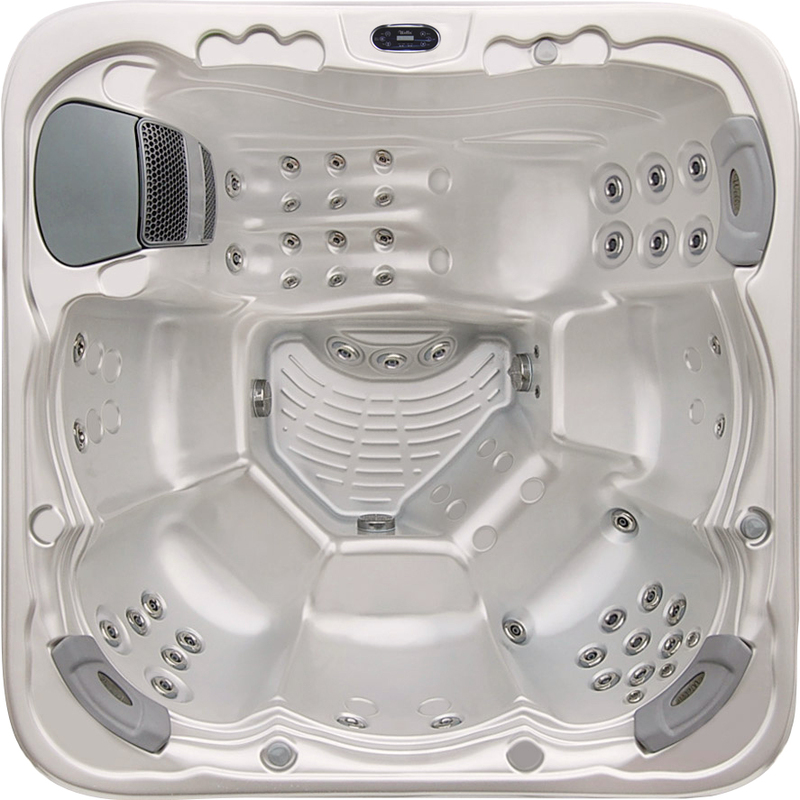 Available to buy in the UK from Bay Spas, this is an entry level large 6 seater hot tub with 2 hydro massage pumps and a grand total of 50 jets. The Kilimanjaro Start is available in pearl white or silver with a grey cabinet cover pls 3 antibacterial filters to keep you clean in your own relaxing hot tub.